I started watching the classic Doctor Who episodes, beginning with the very first episode from November, 1963. As I mentioned earlier, it was because others kept telling me that I ought to watch Doctor Who and how great Doctor Who was and that I'd really love Doctor Who. They were talking about the current show, that began airing in 2005. Since the new series was considered a continuation of the original show, and not a reboot (like the 2004 Battlestar Galactica), I decided to watch the show. But not pick up in the middle. Rather, I'd start at the beginning. Of course, that wasn't what they meant. And, of course, I didn't care. I'll watch the new show. When I get to it. After I'm done with the 26 seasons of the classic series. And I'm up to Season 19, Peter Davison's first season as The Doctor. There were seven serials, totaling 26 episodes. The Davison era got off to a rocky start. The serial that was planned as his first adventure was shelved at the last minute, and the script wasn't ready by the time filming was due. So, they produced the second serial, Four to Doomsday (4 episodes), first. They first serial, Castrovalva (4 episodes), was the fourth produced, after they finally finished the script. The broadcast schedule also changed from a weekly BBC broadcast on Saturday to a twice-weekly, weekday showings. The first episode of Castrovalva began with a cold opening, the first time that happened in the series. And, it ended in a different way than every previous episode: there was no one credited as "Doctor Who." 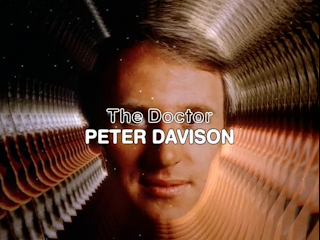 Rather, Davison wanted to be credited as "The Doctor," and was. Which is how many Doctor Who fans prefer it. It was also the conclusion of a trilogy with The Master. He was brought back and gained a new body in the first of the trilogy, the penultimate episode of Season 18. He was responsible for The Doctor's death in that season's final serial. Castrovalva concluded the trilogy, with The Doctor defeating The Master, leaving him to die in the destruction of the city. Of coure, The Master returned at the end of Season 19. Kinda (4 episodes) was kinda boring. Little weird. Lot of Buddhist words and names in it. If I was Buddhist, I might have cared. Instead, it was just weird, with dream worlds and giant snake puppets. The lame story wasted a great performance by Academy Award nominee Richard Todd. His was the only interesting character. Maybe the blind lady or the little telepathic girl. No, it was Todd's performance as a blustery, British military type that was best. Nyssa (Sarah Sutton) had nothing to do in the story. They actually wrote it before they cast three companions, so they had Nyssa faint and spend the entire series in the TARDIS recovering. Lucky her. The Visitation (4 episodes) saw the destruction of the Sonic Screwdriver, which made its first appearance in Season Five's Fury from the Deep. It also fulfilled an historical event by having the events in the serial start the Great Fire of London (1666), which is often credited with helping end the Great Plague, which had killed one-sixth of London residents. 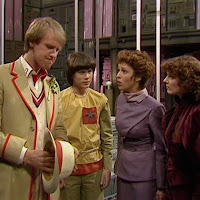 The Doctor's new outfit, which looked a lot like a cricket uniform, fit right in when he was invited to play cricket in Black Orchid (2 episodes). That episode, though not generally thought of as an historical episode, had no science fiction elements, apart from the TARDIS, The Doctor, and his companions. The story itself was a murder mystery set in 1925 Cranleigh (about 30 miles south of Heathrow). The serial also contained the first instance of the "Doctor Who?" running joke in the Davison era. The running joke, by the way, usually involves The Doctor being introduced as "The Doctor" and another person asking "Doctor Who?" There were many variations on this prior to Season 19. The first instance was actually a reversal of the joke. It happened in the very first episode of the series, An Unearthly Child. Ian, knowing that The Doctor was Susan's grandfather, and since Ian and Barbara knew her as Susan Foreman, called him "Doctor Foreman." The Doctor responded with "Eh? Doctor Who? What's he talking about?" That line was actually ad-libbed by William Hartnell. In Season Three came one of my favorite instances of the joke. It happened in one of my least favorite serials, The Gunfighters. Needing to identify himself to Bat Masterson, The Doctor introduced himself as "Doctor Caligari." Masterson asked, "Doctor Who?" to which The Doctor replied, "Yes, quite right?" One bit of science that Doctor Who got right -- well, not really right, but they has certain aspects right -- was the K-T event. It was 1980 when Luis Alvarez, Walter Alvarez, Frank Asaro, and Helen Michel discovered the layer of iridium, suggesting an extraterrestrial source (iridium is rare on earth, but 100 times more common in space). It took a while before it was generally accepted. 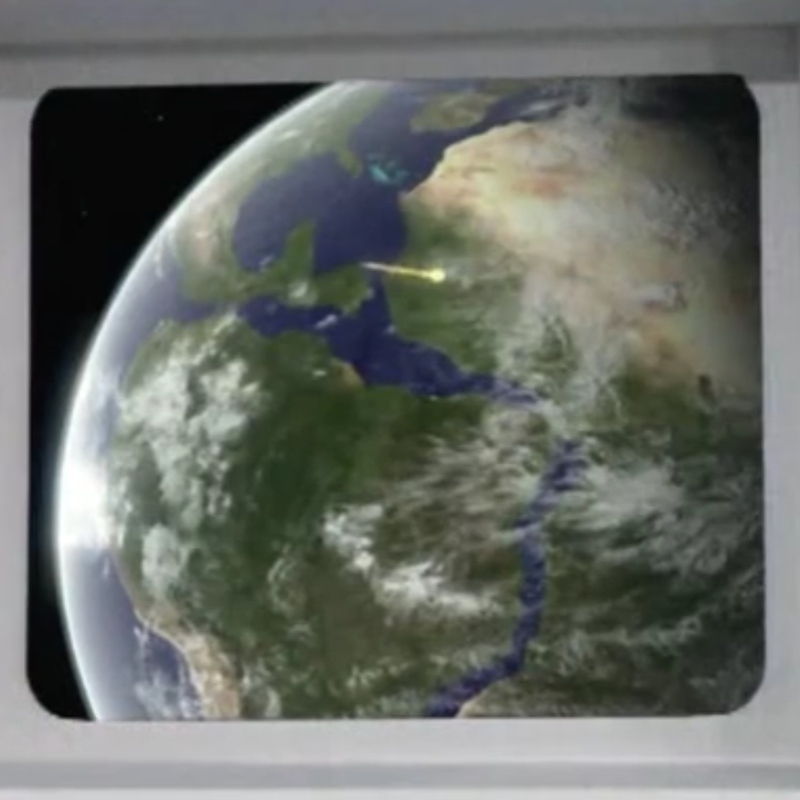 The serial Earthshock (4 episodes) concludes with a crash into the Earth that destroyed the dinosaurs. And, they were pretty close to the actual point where the K-T asteroid hit. Oh, there was one other plot point: Adric was killed in the crash. While he wasn't the first of The Doctor's companions to die in the line of duty, he was the one who was with The Doctor the longest before he was killed. Katerina and Sarah Kingdom both died in Season One's The Daleks' Master Plan. Katerina had joined The Doctor at the end of the previous serial, and died in the 4th episode of The Daleks' Master Plan, making a total of five episodes. While Sara Kingdom was in just one serial, she was in nine episodes. 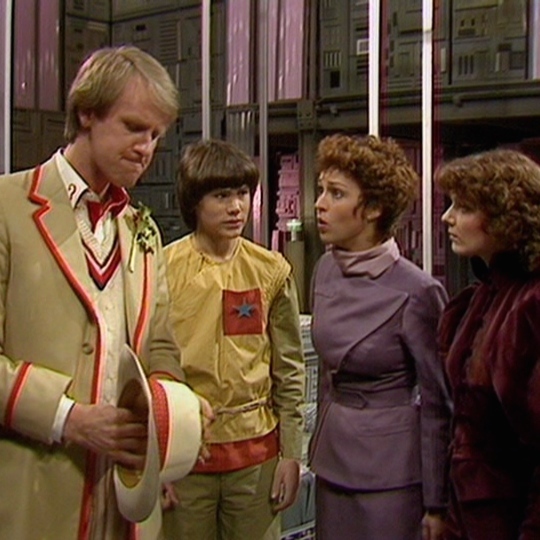 Adric was in 38 episodes as a companion, plus the 4-episode serial that introduced the character before he joined The Doctor on the TARDIS. The season ended with the return of The Master in the 4-episode Time-Flight, which was kinda like The Odyssey of Flight 33 from the Twilight Zone, with a modern plane going back in time. Only, Time-Flight had an ending, and a happy one. Well, all except for Tegan. During the season, it was sort of a running joke that The Doctor kept trying to get her back to Heathrow and her job as a stewardess. So, when the adventure ended, and she was back at Heathrow, The Doctor left. Only, she wanted to stay with The Doctor and Nyssa. Peter Davison's second season, and The Doctor's 20th -- and a big event -- are next.